I had never been on a cruise before this trip. Dorian and I went on the Carnival Breeze with his father Don and his girlfriend Raquel. 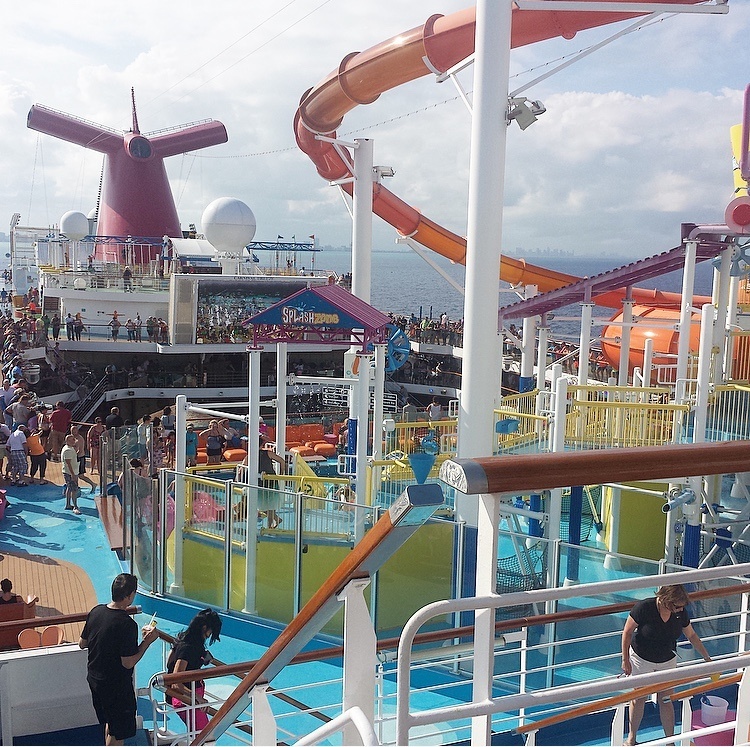 It was a Carnival Eastern Caribbean Cruise that went to Jamaica, the Cayman Islands, and Mexico. There was a burger joint that Dorian loved to go to for lunch. 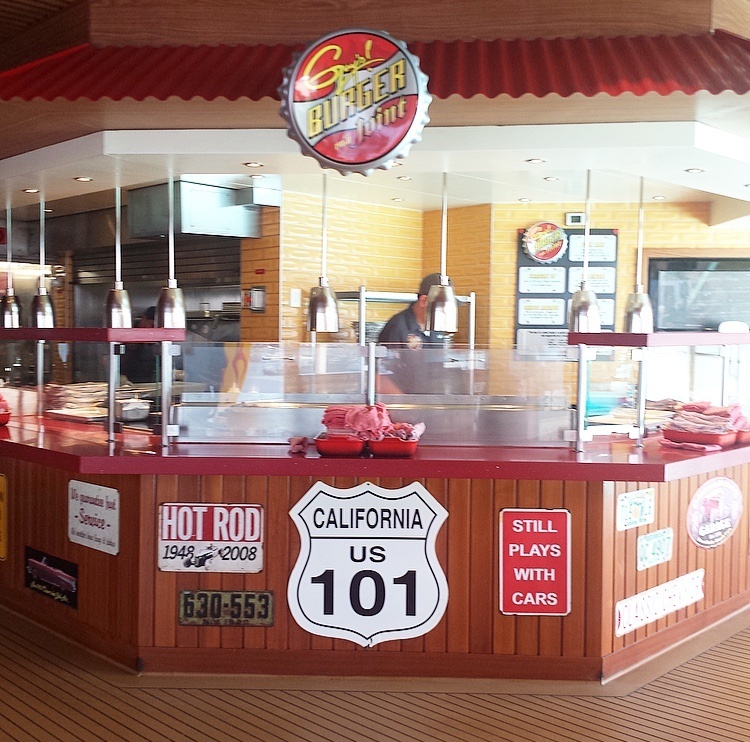 It was called “Guys Burger Joint” and they featured signature, hot-off-the-grill burgers designed by celebrity chef Guy Fieri. They served the biggest burger that I had ever seen. They had a buffet-style bar with all of the toppings you could imagine. The fries that they served along side the burgers were amazing, I definitely pigged out on the fries. We had dinner at “Blush Restaurant” every night. The restaurant was absolutely beautiful and the service was impeccable. During dinner the waiters would take a break and entertain us with table dances (not those kinds of table dances). One night at dinner we ordered some shots of I don’t know what exactly, but it was a mix of a cinnamon cream rum and fireball. It definitely burned the whole way down my throat but was totally worth it, because it hit the spot and came with a cute carnival shot glass that we were able to take home with us as souvenirs. On our last night the wait staff serenaded us with a goodbye hymn. 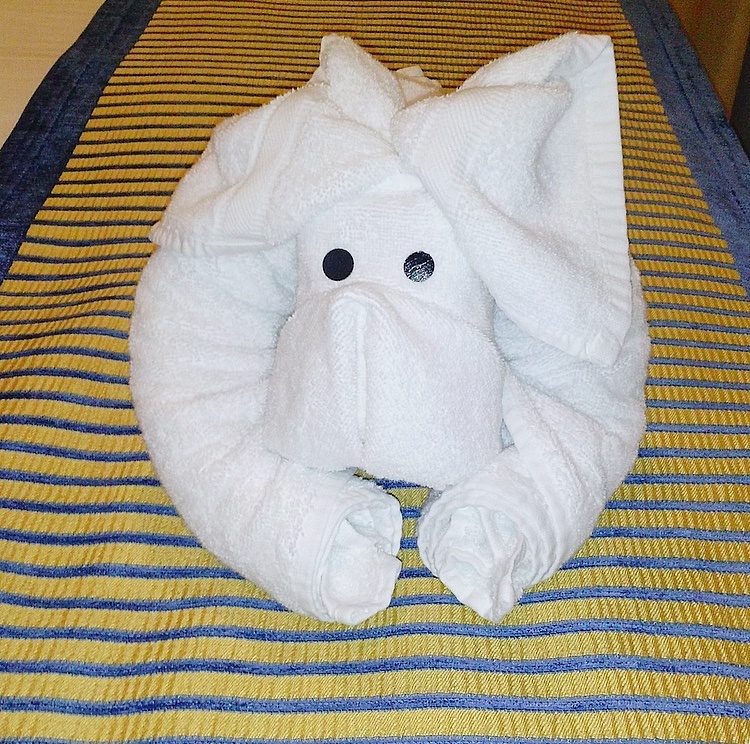 Every night when we would come back to our rooms to settle down for the night the cleaning crew would have cleaned our room and created an animal among the towels waiting for us on our bed. It was the cutest thing and I took pictures of each one. There was a swan, bear, elephant, and an animal that I couldn’t figure out what it was. I’ll post a picture down below so one of you can tell me what it is in the comments. Raquel and I opted to get massages while Dorian and his Dad got pedicures. The massage was so relaxing, I almost fell asleep. The massage lasted for about an hour and the masseuse used a dry brush on my body to start. Then she used hot stones, and all sorts of oils. Once my massage was over the masseuse showed me the products that she used and I ended up purchasing a dry brush that I still use to this day. I mention it in my evening routine blog post, you can read it here. Overall the massage felt amazing and I left feeling as if I was on Cloud 9. Hence the name if the spa “Cloud 9 Spa”. In Jamaica after exploring the port Dorian and I went on an excursion to climb the Dunnes River. We had so much fun. I might have slipped once and dangled off of Dorians arm until I got my balance back. Our guides took photos and video which we bought after the excursion. However, the technology that they used was outdated so I’m not able to share them with you. If you plan on climbing the Dunnes River. I highly recommend you wear water shoes. If you don’t have any you can buy a pair on site. Overall, it was a really fun and amazing experience. 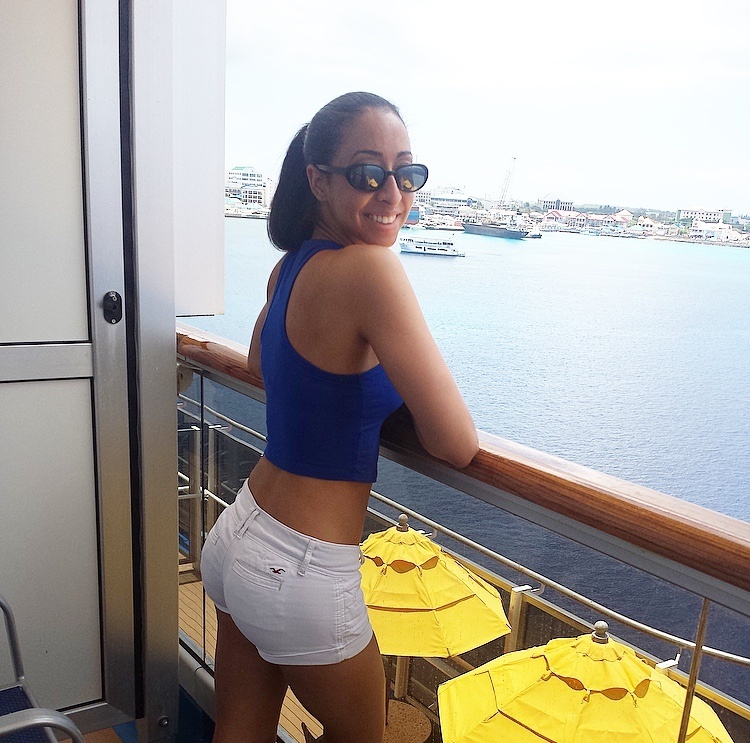 Dorian and I were exhausted from the Jamaica stop and from partying at the club on the boat the night before so we decided to take it easy and enjoy the port in the Cayman Islands. The immigration office was right next to where we were docked and I was able to get a stamp in my passport. The Cayman Islands is known for having a blue iguana and we were able to spot one among the palm trees. Also, in one of the stores I found a cute ornament showcasing Santa with the blue iguana. If you haven’t already read my souvenirs blog post you can check it out here. Dorian and I went back to the cruise ship to have lunch with Don and Raquel and then we ventured back to the port where we had a drink at Margaritaville. I loved the port of Cozumel!!! 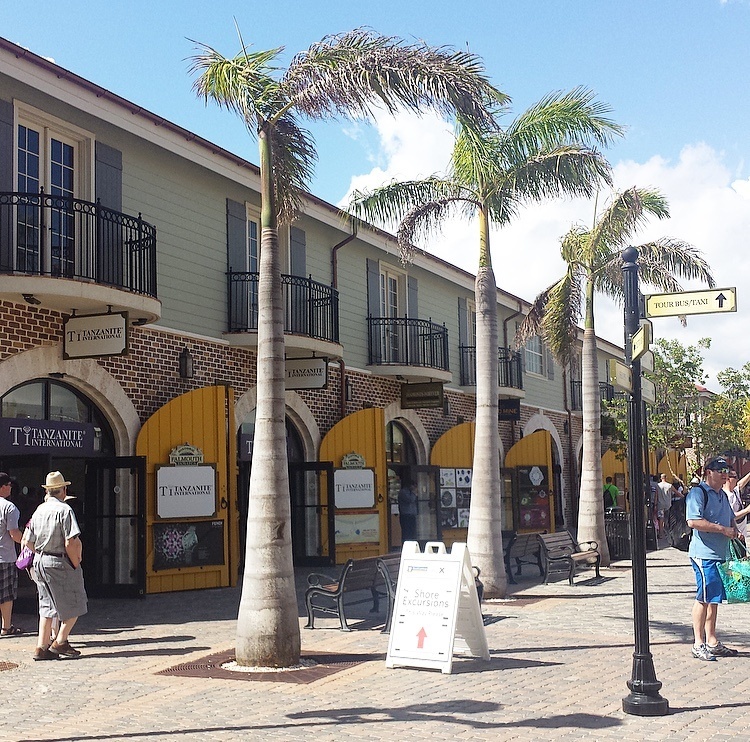 It had so many cute shoppes, people dressed up in costumes that you could takes pictures with, and things set up throughout the port where you could take pictures. While we were shopping at a plaza in Mexico. I took a bunch of pictures one of which I thought was a statue right outside of a store. 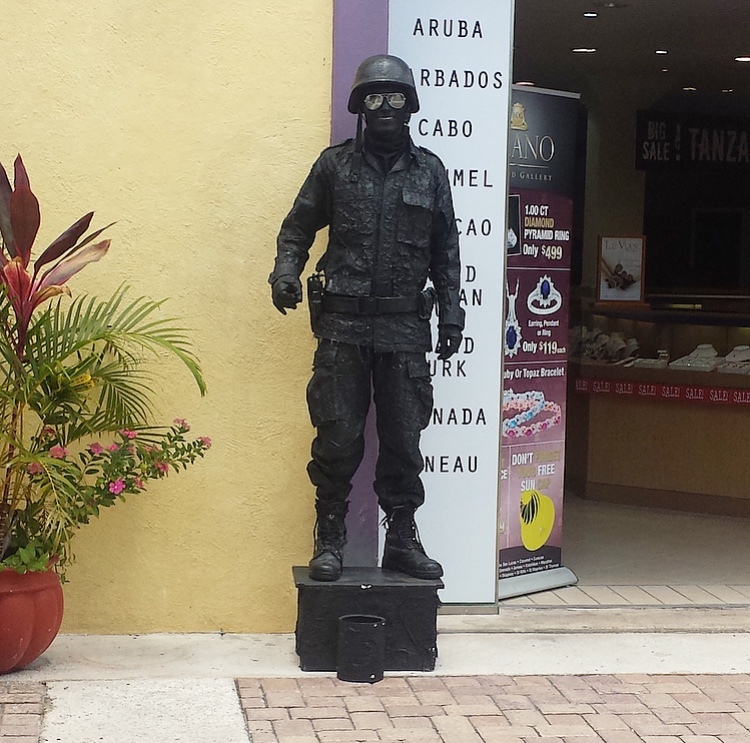 The statue was of a man on a platform dressed in army fatigues colored in black, as I was taking a picture of the statue it moved and began waving at me. I jumped at the surprise, it was a real person. After we were done shopping we went to Fat Tuesday’s. Dorian got this huge frozen drink called an Attitube Adjustment. As you proceed to drink it, it has a gage on the side that keeps track of how intoxicated you are. Starting from “No Problema” to ending at “Dain Bramage”. Needless to say Dorian really enjoyed that drink. In the middle of Fat Tuesday’s there was a platform with a pole. You can only guess that each of us took a turn dancing on the pole. There is a video, however I am not going to share it with you. 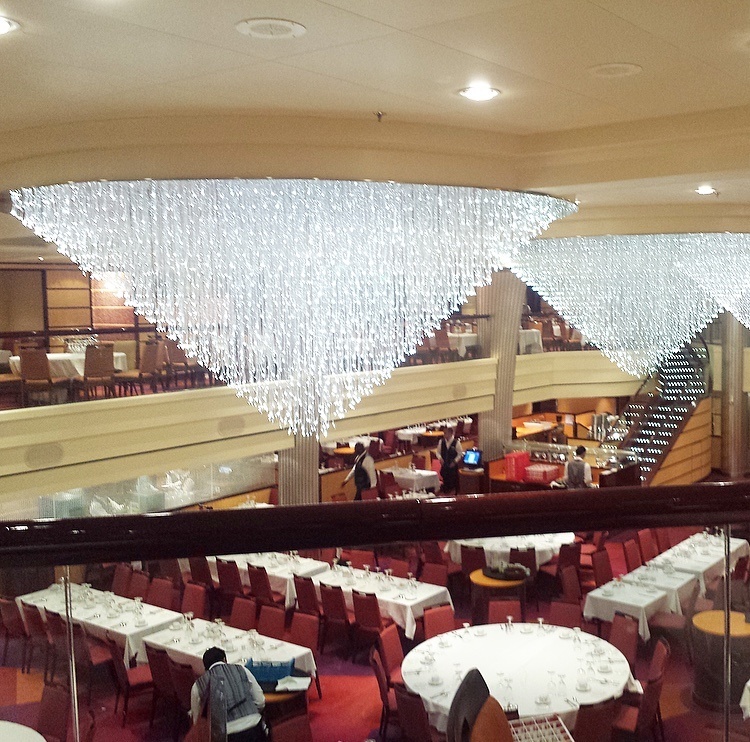 During the rest of the trip we enjoyed the scenery, amenities, and entertainment on the cruise ship. 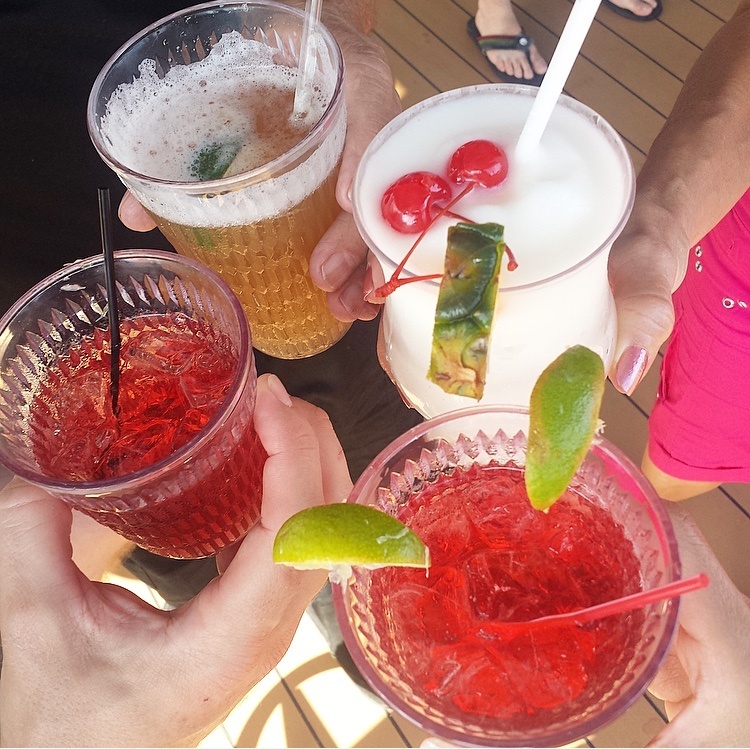 If you have not been on a cruise before I would highly recommend it. Again, this was my first cruise trip and I had a great experience. I hope you enjoyed reading this blog post. If you have any questions please comment down below. I am happy you had a wonderful time. Now to figure out the towel design maybe it is a rhino.